Protecting your home from pests can be a challenge, especially in Florida’s climate. Palm Coast Pest Control has been providing Florida residents with superior pest control services for more than 25 years. 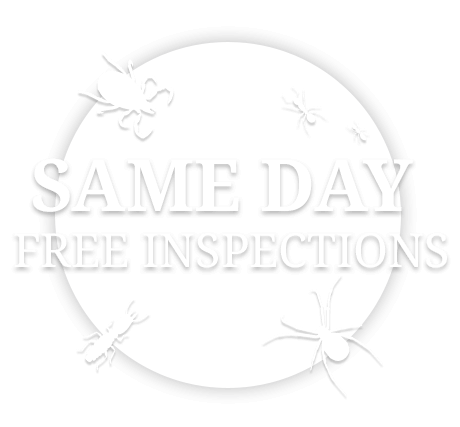 We offer a variety of interior and exterior pest control solutions for seasonal pests, rodent control, termite control, bedbugs, ticks, fleas and more. Our licensed lawn care and landscape professionals are dedicated to providing our customers with proper fertilization techniques and effective pest management protocols, so you can enjoy a landscape free of insects, fungus and weeds. When you reach out to our certified exterminators, you can rest assured that your home will be safe from future pest and rodent infestations. At Palm Coast Pest Control, our number one goal is to help Florida residents feel safe and secure by creating a pest-free home and landscape for their family. If your children are curious about the critters lurking in or around your home, the National Pest Management Association has created a fun online learning environment to teach kids about the wild and exotic world of bugs. Click on the button below to enter the online education center!